See what our agents are saying about Sellstate! Nicole Turner has literally in physical form shown up at my listings when I couldn't and performed functions that kept my clients confidence strong in our company's ability to get the job done. Thank you Nicole. You represent the epitome of what a great company culture is all about. Also Loved receiving my AAD checks totaling $1,036.50 from Sellstate with no effort on my part and a win win situation for my sponsorees. Woo hoo! Gonna use this cash towards my vacation and home equity. Love my company and life is truly good! Best company. ever. agents keep more of their money and the broker support is amazing! This truly is the place you want to call home. We love how Nicole Turner shares her knowledge to make us successful and her laughter is contagious!! My decision to join with Sellstate Realty has been the best career move I have ever made. The new agent training is second to none, not only do they give you the best tools to succeed, they instill a confidence that you can take on any challenge in the real estate market knowing that your part of a team that's going to be there for you whenever and for whatever you need. Coming from another brokerage I can honestly say the Sellstate culture really is like no other. Sellstate has been an amazing company to me from the very start. What can I say, I immediately felt at home the minute I was introduced to the office. Everything from the people who work there, to the training classes are all amazing. Would highly recommend this company! I am proud to be part of the team at Sellstate Realty. John has put together a strong team to ensure the success of his agents and is himself a valuable resource to every agent in his office. Sellstate is without a doubt the best company I've worked for, thanks for the opportunity! I have been with a couple of difference brokerage, but when walking into the the office of Sellstate Realty I knew I was home for good. The brokerage support and the classes that the office provides is top notch. the brokers are always available to answer any questions or concerns that you may have. this is a great fit for me. Sellstate Realty is a great company to be a part of. Their support of their agents is outstanding. They offer great education and resources to be a successful realtor. It is not hard to recommend Sellstate. I have been part of the team since 2014. I've had the pleasure of being mentored by John & Kathie who not only is thorough when helping out with contracts but always has great advice. They are extremely friendly, knowledgeable, and are always available if needed. I cannot leave out our front desk who is so good at being the point person for all questions administrative related, and just getting the job done. I'm glad to be a part of this professional fun team. Sellstate Realty is a great place to work! John and all the other people that work there are very helpful and interested in insuring that all are successful. If I could go back in time I would of started with Sellstate from the beginning. The company is one of the finest companies that I've ever been associated with. I highly recommend them to everyone I encounter. I was working as an independent Real Estate Broker after moving from Miami, With 17 years of experience at that time, and productive years with my home Real Estate Firm in Miami. When I met the Owner John and his team I felt that I had found my place and I was welcomed into a friendly and professional environment. Sellstate provided me the help and support with the means to succeed. Sellstate has great conference rooms, the latest technology and more. Since joining Sellstate I continue to grow & improve my business model & success. I came to Sellstate Realty a little over 2 years ago from KW having had my license for just 6 months. It was a huge switch for me as education and support was/is very important to me as a newer agent. Sellstate Realty has exceeded my expectations in these areas and it feels a lot more like a supportive family who are always approachable and understanding. Someone is always available to answer any questions I have or for guidance, and Sellstate's national site for their agents is an incredible resource both for training and guidance on how to grow your business. I'm so glad I made the move for those reasons, but knowing that I get all of this AND get to keep almost 30% MORE of each commission than I did previously makes it even better! I immediately loved the culture of Sellstate. John does a wonderful job of nurturing, mentoring and coaching. They make every agent feel an integral part of the Sellstate Team. The culture is positive and energetic. I LOVE IT!! Sellstate Realty is amazing! The help and support you get from everyone here is great! From the owner, the managing broker, secretary, and even from other agents! It feels like you're at home at all times. I had worked with another company before coming to Sellstate and I can assure you that they did not give me nearly as much support as Sellstate does. This company wants to see every agent grow their business and they know that the only way they can do that is by giving every agent a step by step plan that is proven to help them succeed. I moved to Sellstate Realty in February of this year. I was looking for an office that had great staff support and leadership that I could rely on for growing my business. I found it in Sellstate Realty, it was nice to see some familiar faces from my KW days I felt right at home! I appreciate all John's experience and success in the Real Estate Industry and his willingness to share his wealth of knowledge. The Sellstate business model is very innovative giving me the opportunity for growth and residual income that I have not found in the 2 previous companies I have been with. I have been in the business for over 10 years. After meeting with John, I immediately felt welcome to the office/team and liked what they have to offer their agents. The classes and tools that they offer to get your business going are wonderful. I look forward to a long term business relationship with Sellstate Realty. From the moment I walked through the doors of the Sellstate office, I felt right at home. John, the owner, welcomed me with his enthusiasm and charming personality. The whole office was buzzing with energy and enthusiasm. I had several options for where I was going to start my new career but after interviewing with Sellstate there was no question as to where I was going to receive the most help. Between their Mentor program and all the extra classes I knew I was on the path to success. Thank you Sellstate for being my new Home away from home. I have been with Sellstate going on 2 years now. They have provided excellent training and mentorship, that has given me the confidence to grow my business and become successful. John are always there to help and give advice when needed. SellState Ace Realty really offers an excellent, reliable and top quality service. December will be my 1 year Anniversary at Sellstate Realty . I am so Happy! I have worked for several of the major Real Estate companies and none of them have been so ready to help me succeed. The Training / Mentor program is excellent. I cannot say enough good things about my mentor. He has always been there for me to answer questions and help me move forward with my transactions. He is super nice and very knowledgeable. There are several group meetings available to help you keep growing. I would not think twice about joining Sellstate again. The office environment is great, Agents are friendly and ready to help each other. I would totally recommend Sellstate as a great place to work. I recently received my real estate license. My wife Crystal and I interviewed together and never felt more welcome. Everybody was completely on our side with our vision of doing this together. My first week, as crazy as it felt, Amy was there to help me get everything setup and she went beyond what I would ever expect just to get me going and is always willing to help with a smile. I was fortunate enough to make my first offer this week and everyone was there to assist me in anything I needed. That means a lot to me, to have a team support me like Sellstate Realty does. With all the education that we have received thus far I know we will be successful as will anyone else who joins. I have been with SellState for 1 year and never have felt so welcome! Anytime I need assistance I get all the help I need. Everyone is here to help each other and genuinely cares about the success of one another. The compensation and AAD program is the best I have seen in the industry. I have been with Sellstate Realty for 2 yrs now and I can truly say after being with several other big name companies Sellstate by far is the best company I've worked for in my 15+ yrs of selling real estate. Its just what the company has to offer to us agents but the people that run the office including our managing broker, the support staff & management not to forget all the other agents together offers a very comfortable and successful atmosphere. I am very happy with my decision to join this company only wish I could have moved here sooner. I have been in Real Estate for over 16 years have been a Broker with Coldwell Banker, ReMax and Keller Williams. I have been very impressed with Sellstate Realty! I have been treated with respect and feel I am important part of the office! I am very impressed with John & Kathie! They are very professional and care about you and your business! The AAD program is MUCH better than other companies so called "Profit Sharing." Sellstate's AAD is a true retirement income! The bottom line is: I have made more money with Sellstate than any other Real Estate company before! I HIGHLY RECOMMEND!! I have been with Sellstate going on two years. In my two years I have been very successful and I owe that to John and Kathie. They provided great training to be successful and the tools to grow my business. Also we have a team team of Real estate agents that also do training and provide support to everyone. I would not be where I am today without Sellstate and the AMAZING team we have! Since Day 1, every member of the Sellstate team has been supportive and encouraging. Not only does this company have the technology and knowledge to succeed, but also the experience and understanding to see the whole picture of every transaction. Whether it is the Office Coordinator or Managing Broker, the team at Sellstate always give me a prompt and thorough answer or solution to any questions I have. The teamwork I see on a daily basis never ceases to impress me! I started my real estate career in what I call the big box companies. I struggled getting training & guidance, I felt like a number. An agent friend suggested I speak with John at Sellstate. I spent an hour with John explaining the splits, office cost, training program and his vision of the company’s growth. I left that office feeling like I could become successful in this ever changing real estate business. I moved my license that day; I have been with Sellstate 5 years & have not been disappointed : I have gained a successful business, more confidence, greater knowledge & a team of agents that work together to help each other become the best. 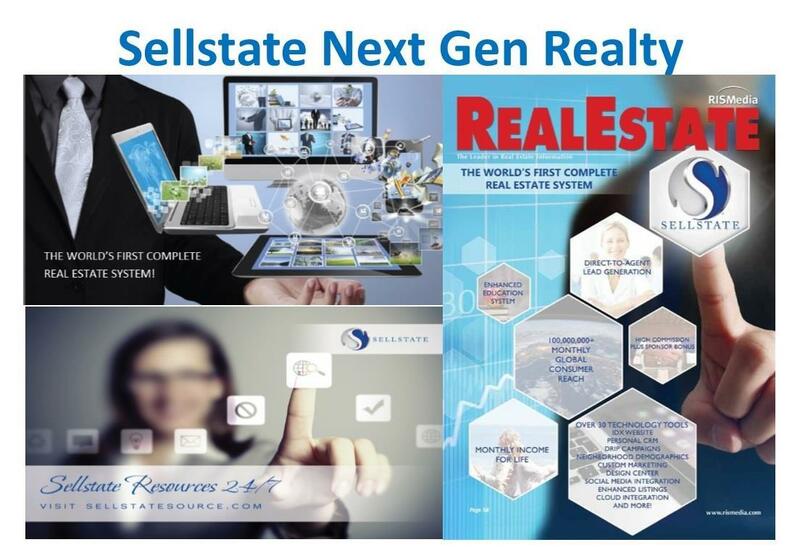 If you any doubts of what you’re getting out of your real estate business take the time to visit Sellstate. It’s well worth the hour. I have been with Sellstate for over 5 years now and am so lucky I am able to call this home. 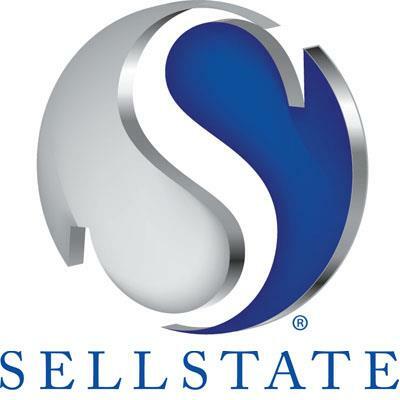 Sellstate is the real deal offering everything to agent that will allow them to succeed. From a full technology package, to excellent commission splits, full training and continuous education, an office culture stronger than ever, and your very own retirement program makes this company the best in the industry! In 5 short years I went from a broker associate knowing no one in the area, to top producing within the company, and now having ownership in numerous Sellstate Brokerage locations. The sky truly is the limit with this company! I have been in the business over 25 years and joined Sellstate Realty as I saw the opportunities of a growing company that no one else offers. They have a business plan that is second to none in the industry. They have far exceeded all expectations on the technology they offer, the education they offer, and the tools to help an agent excel in the business. Their commission splits and opportunities to grow are exceptional. The camaraderie amongst the agents in the office is incredible with the amount of energy and fun. The business model they offer is superb and I am proud to be a part of Sellstate. Sellstate Realty is an AMAZING R.E. Brokerage! There is a fun and energetic culture, amazing support and GREAT splits! I don’t know of another brokerage that offers programs from cradle to success; from a Real Estate School to mentoring and training to how to build a team to purchasing your own Brokerage. Sellstate truly does help you grow your business to your next levels of success!